Make it thoughtful, but also extremely easy to buy on Amazon. 1. A star map print with a gorgeous representation of how the sky looked on an important day, be it an anniversary, birthday, the day you two met, WHATEVER. You're about to put Jim from The Office to s-h-a-m-e when it comes to romantic gestures. AND you can choose a quote to put above the person's name, location of the *event* (city, state, country), and date and time it happened (all lines can include up to 300 characters). If you can't think of a quote, they have a default option! 2. A set of customizable stickers that'll let them stick their face (or pet's face) on just about anything they'd like — try to "borrow" their charger now. Upload a picture of the lucky duck (make sure it's high-res and that their face fits inside the preview box and watch the magic happen! They'll get one 3.5" sticker, two 1.75" stickers, six 0.75" stickers, and 12 0.5" stickers. AND they're waterproof and microwave- and dishwasher-safe so they can stand up to wear-and-tear. Promising review: "I gave these to my sister for her dog's birthday this year and she LOVED them! It was such a cute, personalized gift that really meant a lot. It was a great item, especially for the price. Sometimes personalized things are so expensive, but this was great. I will definitely purchase again!" —Kelly O. 3. A set of photo coasters with slots for personal snapshots so each gathering around the coffee table will be a trip down memory lane. Oh, who only put pictures of me? So strange. Just print photos that are sized at 8.2 x 8.2 centimeters (3.3 x 3.3 inches) and slide 'em into the coasters! Promising review: "I bought this as a gift and they absolutely raved over it, especially since they can change the photos whenever they want." —Jasmine T.
4. A personalized acceptance letter to Hogwarts for making yourself a keeper — always. Of course, now you need to take them to London and find Platform 9 ¾. Don't ever tell them this isn't real, even if they get suspicious. Plus, the quality parchment paper will make it REALLY feel like the real deal. Select Dumbledore or McGonagall (hard, I know) and enter the person's name (up to 32 characters). 5. 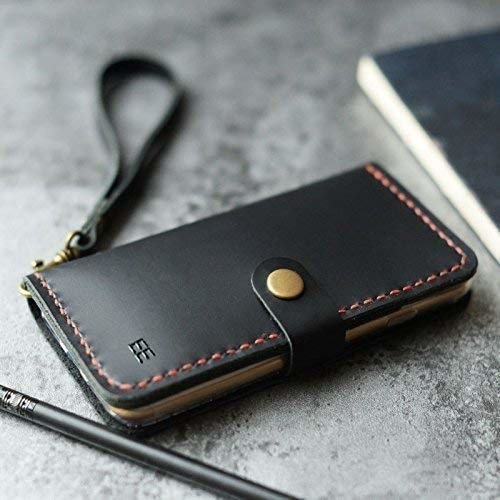 An engraved Italian leather phone case wallet, because this'll be perfect for the friend who'll definitely use a fancy wristlet as an excuse to never be away from their phone. I suppose that's all of us, TBH. You can engrave up to five capital letters or numbers 0–9 and pick the stitching color: black, red, ivory, or gray. The default location is the bottom right corner of the cover. 6. A family tree chart you should fill out yourself before gifting to win even MORE gold stars. Think of yourself as Detective Holiday Spirit, here to track down great-great-grandma. This comes with a set of two (some people save one for mess-up's) and can include up to six generations! You'll fill in their name, maiden name, born, died, married, resided, and extra space for whatever else you'll want to share! You can take learning about your family history one step further and also gift a 23andMe DNA testing kit ($69 on Amazon). Just mail in a saliva sample, and you'll get results delivered in 6-8 weeks! 7. A personalized pet tag, because obviously every dog is on the Nice List and deserves their own gift. Not to mention every floof should have your number attached to 'em *justtttt* in case they run away to chase Rudolph. It comes in three finishes: silver, copper, and brass! Enter your dog's name, your phone number, and then choose from stamp options (shown in the product images). 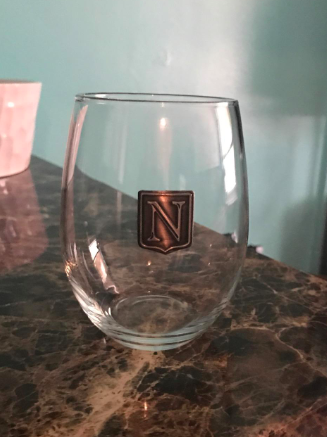 You can pick either a flask, stemless wine glass (available in two sizes), whiskey glass, beer mug (available in two sizes), or a whiskey decanter. 9. An engraved ballpoint pen and gold-plated letter opener set that'll a) look like you took a trip to Montblanc and b) make them look important AF, even if they sit at a cubicle. This set comes with a brass metal rollerball pen, refillable pen, and a gold-plated letter opener. Just hit the "Customize Now" option before checkout so the recipient's name can be engraved onto the pen! 10. An engraved wooden cutting board so they can feel like royalty while hopefully cooking for only you — loyalty is important. Enter your family name, style number (which are shown in the description images), and "establishment date". You can also include an engraving on the back of the cutting board, a note, and a metal stand with this! Gift wrap is available. See all design options from the Jules Verne Store for all of their amazing engraved cutting boards! 11. A zodiac constellation necklace with sparkling crystals and an optional monogrammed charm for pleasing even the biggest Scorpio. Don't worry, there's an easy-to-read zodiac chart if you're not an astrology buff. It comes in gold-plated, silver-plated, or rose-gold-plated. You can include up to five initialed charms that come in three styles, and pick from two types of gift wrapping! 12. A custom story book, because each page will display gorgeous illustrations and a clever storyline about needing ~certain letters~ to save a local circus. The best part of all: when they get to the end, they'll discover their full name was the special power all along! You'll enter the child's name, house number (optional), road name (optional), and a personal message. At the end of the book they'll discover that each magic letter used to help the animals actually spells out their name! Gift wrap is available. 13. A hand-stamped aluminum spiral wrap ring that'll engrave your two names together and technically put a ring on them this holiday season. Should you do this for your work wife? Obviously. Just enter phrases or names for both the top and bottom of the ring. The bands can fit up to ten letters each (and the hearts are already included). 14. A pair of athletic socks with your favorite player's team numbers — maybe now you'll actually be able to keep track of them during games. 15. An engraved vegan leather flask set so you can give them something they'll want to be joined at the *hip* with — only because it looks so darn classy, of course! Plus, this flask comes with a funnel, is scratch- and water-resistant, and already comes in a gift-able black box! You can personalize it with up to four lines, each with up to 30 characters. 16. A personalized metal cuff bracelet stamped with anything from names, dates, or coordinates for putting *your* heart on *their* sleeve. I promise they'll reciprocate! 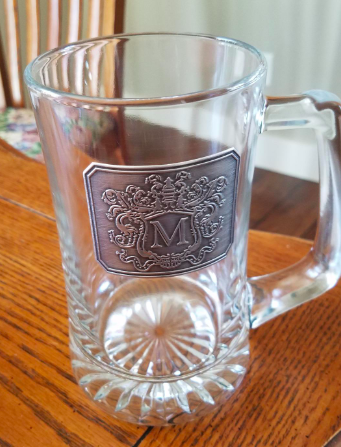 You can pick from gold-plated, rose-gold-plated, or silver-plated, three fonts, and include both a front and back inscription (with up to 35 characters). 17. A hand-poured soy candle displaying a ~heart map~ of where you and your S.O. met, because this'll be the perfect excuse to say "come on baby light my fire," and if they don't get it just break up with them. You can pick from ~20 scents~ and include your anniversary date and year, the city and state for the heart map, and both of your names (that'll be printed on both the candle and lid). AND you can upgrade to an entire gift box (complete with the candle, mug, matchbox, pillow cover, gold playing cards, and a congratulations card). Gift wrap and an additional gold foil matchbox are also available. 18. A custom marble spiral notebook that'll definitely motivate them to get more organized come 2019 — just let them live out their procrastination for another month. ^^ Said by the world's biggest procrastinator. You'll fill out the first and second line (so it won't say 2018 like the above image) and can pick from 15 fonts! It comes in two styles: college-ruled and checklist. 19. An engraved amber glass beer growler so everyone else is forced to brew over how impersonal their gifting was this year. It's not easy being the best in the family. You'll fill out a single initial for the top and up to 14 characters for the banner text. 20. A personalized wooden spoon for really ~stirring up~ heartfelt feelings. All together now: "Awwwwwww." Just enter the person's name (you can include up to 200 characters) so that it'll read: (Person's) Kitchen. 21. A personalized cheese board (in either slate or wood), because this'll be a gouda way to demand cheese every time you visit them. Though I doubt you'd be friends with someone who doesn't automatically give you cheese — the HORROR. You can enter up to 15 characters on both the top and bottom line (the heart design is standard). You can also engrave a message on the back with up to 100 characters and get it sent in a gift box. 22. 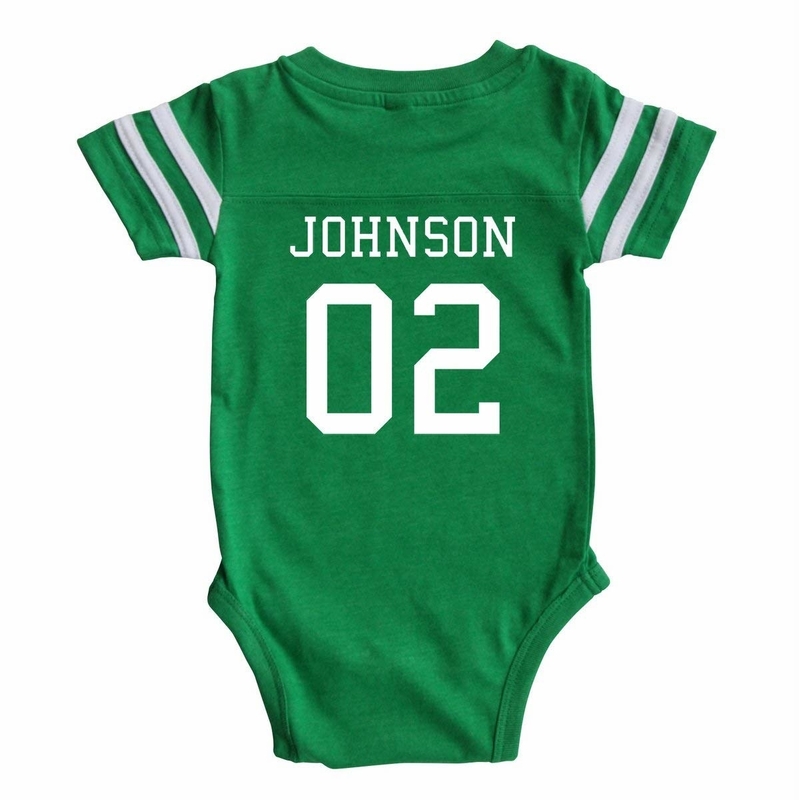 A baby football onesie to teach them how to be a team player early, aka say your name FIRST. After you purchase, message the vendor (you'll get an email telling you to do so) with the name and team number you'd like to be included! 23. A wooden wine and beer opener that'll make sure they never have to choose between the two — it's the holidays, why not have both? It'll include two bottle openers, a corkscrew, and a small knife, and is wrapped in a gift box! You can pick from 12 fonts, add up to 20 characters, and add an additional backside engraving. 24. A heart-warming mug so whoever you miss most can feel like you're both getting through your first cup of coffee together. Plus, it's dishwasher-safe! Just select two states (or province or country) and the colors you'd like them to be (you can pick from nine colors). AND you can add an optional quote. There are five gift box options! You can enter to 100 characters for the name and one monogram letter (available in 30 ink colors). The set comes with envelopes in the color of your choice (available in 19 shades). You can also add an optional address on the envelopes! Promising review: "I bought this as a gift and the recipient raved about it. Delivery was prompt and the quality was an A+." —laraine f.
26. A pair of 18K white-gold-plated cufflinks, because this'll be even better than an expensive trip to Brooks Brothers. James Bond would be impressed. 27. An initialed folded paper book that'll become their favorite story to tell for years to come. It's carefully made with folded pages from recycled books! You'll enter the beginning letter of your two first names (that'll be separated by a heart), and then tell the vendor your top three color choices (you can pick any)! 28. 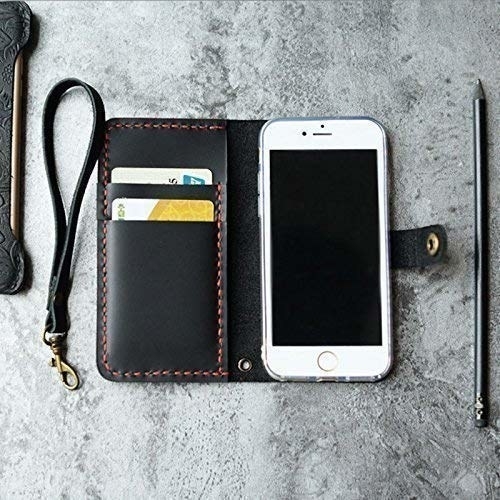 A leather catchall tray with any phrase, date, or name you'd like so you'll be the one they thank when they never forget their keys again. You can get it blank or for $10 extra you can have it personalized with up to 300 characters! 29. An embroidered cotton apron for anyone who always makes you dishes that are just *kisses fingers*. Hopefully they use this as motivation to cook even MORE amazing meals. Did I mention it has a soil-release finish for added stain protection and not one, but THREE pockets?! Just enter up to 15 characters for their name, and choose the color thread that you'd like for the name and hat image (you can type in any color!). You can also throw in a personalized burger flipper and BBQ set case for extra. 30. A sterling silver long-distance necklace with one state engraved into another, because now they can literally always keep you close to their heart. Select two states: one inner and one outer, and get it engraved (you can pick from two fonts) on the front or back with up to 12 characters.